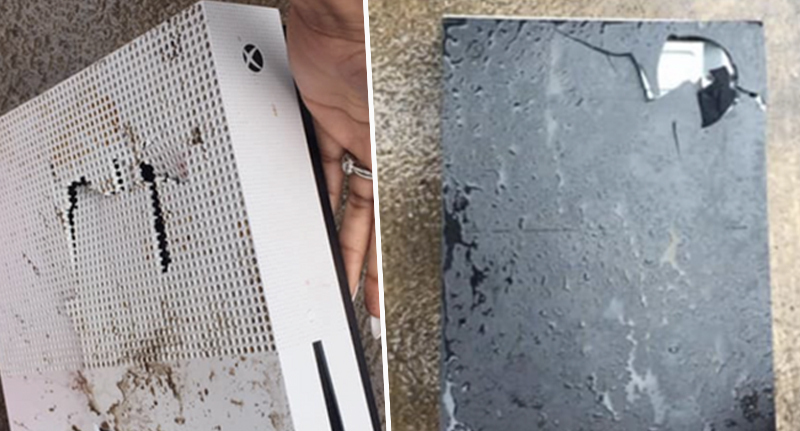 A boyfriend was made to regret a food shopping blunder when his girlfriend trashed his Xbox over some vegan cheese. One joke often made about vegans is that they like to bring up their choice of diet at every possible situation, ensuring everyone knows they have the moral high ground and making it impossible to forget. However, it appears no matter how many times one girl mentioned her food preferences, her boyfriend supposedly still forgot she was vegan when the time came to buy some cheese. Either that, or he chose to forget, just to spite her. TRY me and this is what happens. Maybe next time you won’t forget to buy my cheese VEGAN. I told you over and OVER I do NOT want real cheese!!! I’m a VEGAN! And you WILL respect that! 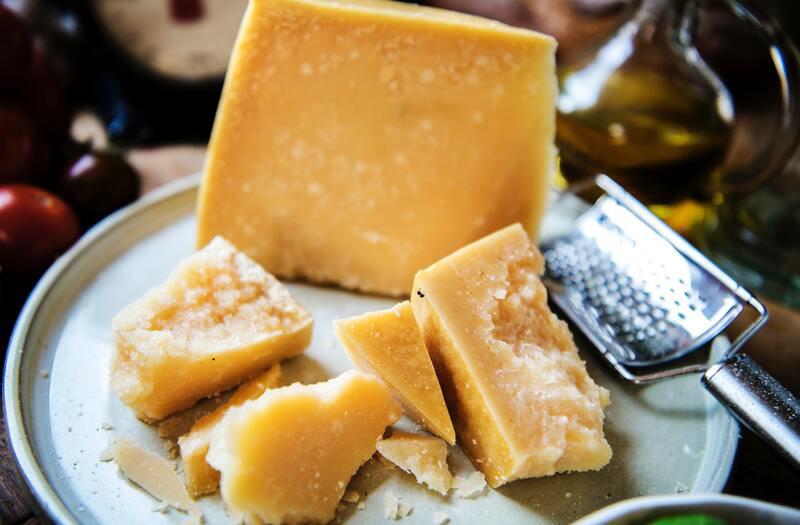 When the vegan discovered her boyfriend had purchased real, dairy-filled cheese, she decided to teach him a memorable lesson by hitting him where it hurt. The Xbox. 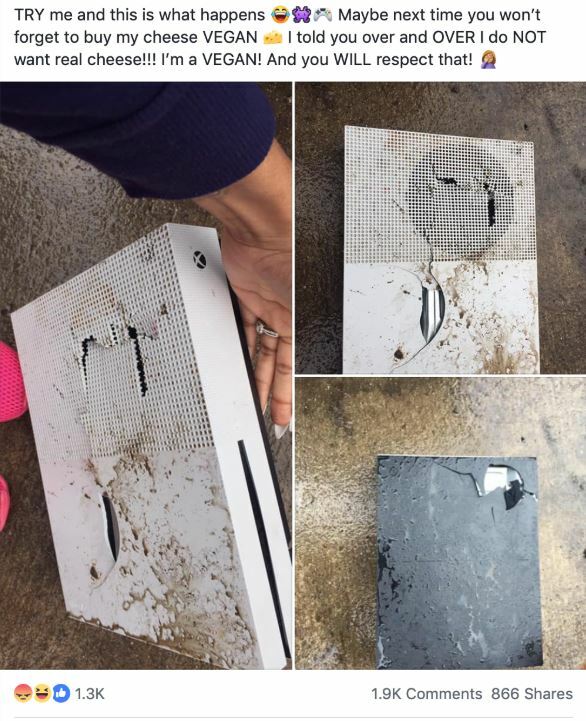 She shared pictures of the console on the floor outside, covered in muddy water and damaged with cracks and holes as if she’d aggressively stamped on the device. The dramatic post went viral, racking up thousands of likes and comments and being spread across the internet. It was shared in the sub-Reddit r/Insane People Facebook, where the pictures garnered some criticism from users. I hope you’re now a single vegan. They seem really cheesed off. Though the punishment was perhaps a bit too harsh for the crime, I’m sure the boyfriend won’t be making the same mistake again! Plus, by paying attention to the cheese he’s buying, he’d help the vegan cause that little bit more. At the end of the day, they are saving the planet. They really do have the moral high ground, so every little helps!